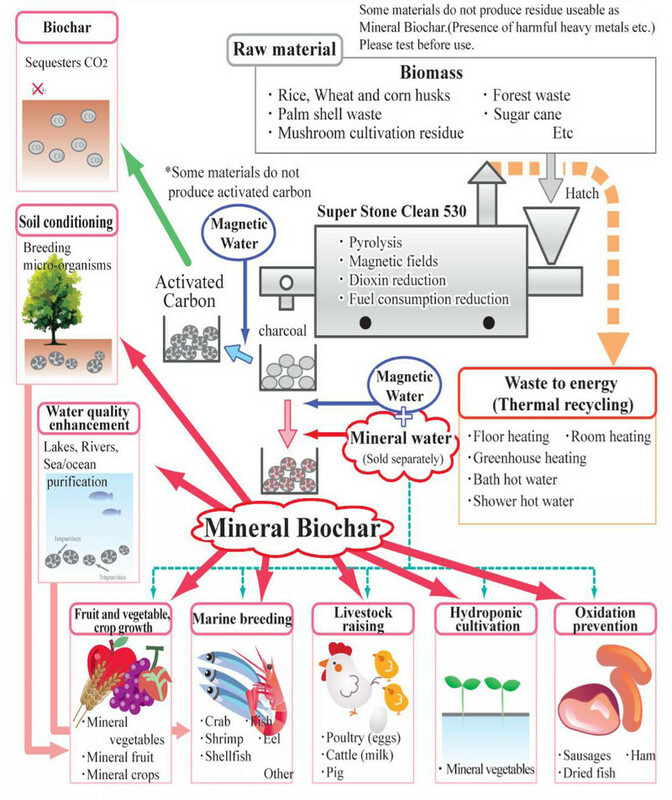 Kansai Corporation of Japan has developed an Automated Rice Husk Carbonizer to create biochar out of rice husks. Rice husk charcoal has been used in Japan to improve soil fertility, to improve plant products and filter and retain nutrients in the soil. Use the Iwasaki charcoal-making kiln to make charcoal from forest thinnings. The Iwasaki charcoal kiln is made from two steel drum cans. Since high temperature is used, it takes a very short time to make the charcoal. Wood (diameter Bamboo charcoal takes less than 3 hours to make.